Just Swim Level 1: This class is for beginners. 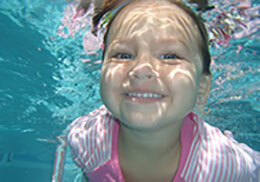 We will introduce the basic skills necessary for swimming. We work on submersions, opening eyes underwater, breath control, kicking, beginning back floats, and gaining over all independence in the water. This class is for achieving over all comfort in the water.